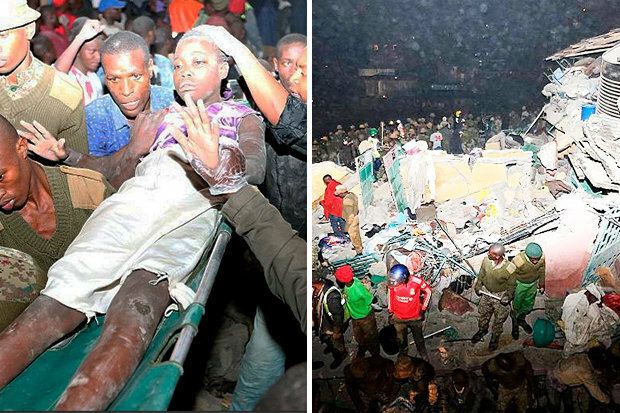 Kenyan rescuers are continuing to search for survivors of a residential building in Nairobi that collapsed on Friday, as officials said the death toll rose to 16 and 73 people are still missing. Pius Masai of Kenya's National Disaster Management Unit confirmed the death toll on Sunday. The building had been declared unfit for human habitation by Kenya's National Construction Authority, but was not torn down. Nairobi governor Evan Kidero said bribe-taking officers in his government are responsible for allowing contractors bypass building codes. He vowed to fire those responsible. Police have ordered the building's owner to turn himself in for questioning.